eClassical - Copland: Appalachian Spring & Hear Ye! Hear Ye! 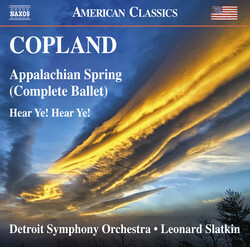 Home » Label » Naxos » Copland: Appalachian Spring & Hear Ye! Hear Ye!